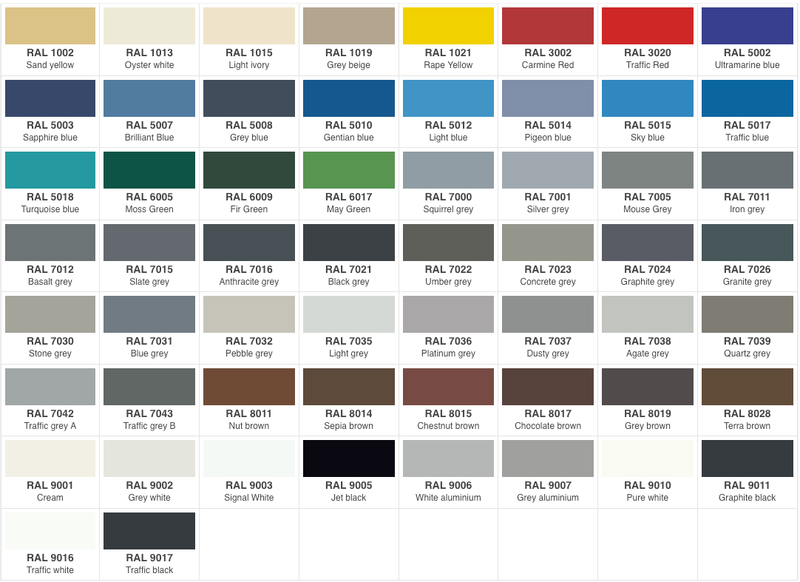 Below is our list of standard stock colours in a matt finish only. 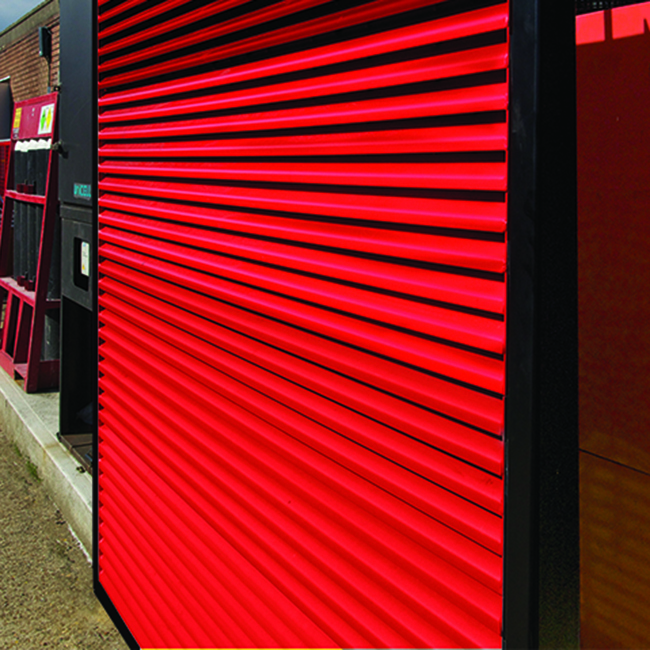 For any other colour/finish there will be additional costs and longer lead times. 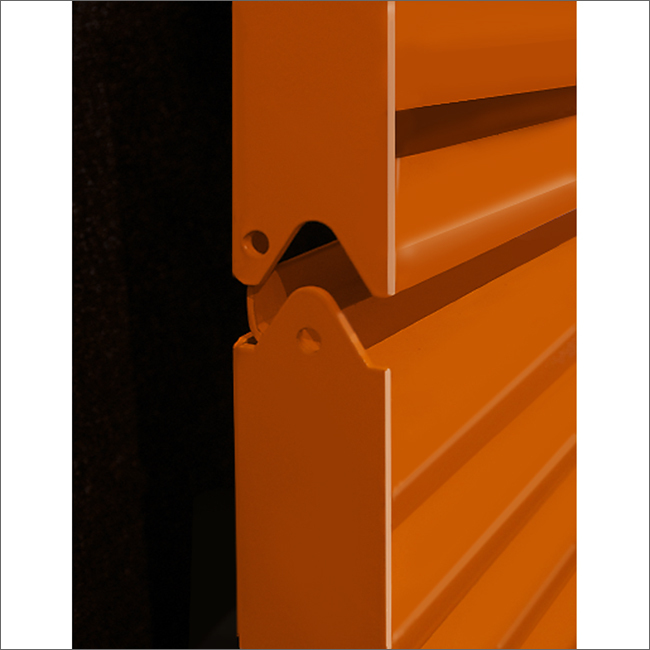 For Powder Coating enquiries concerning non-Sunray products please contact Akzo Nobel Marketing Services by email or telephone 0121 555 1511. 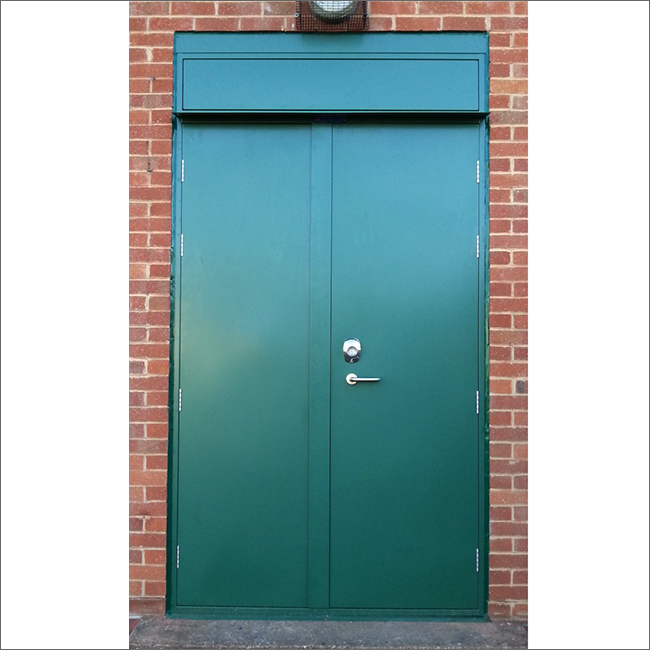 Sunray’s powder coating service covers our range of steel door, louvre and Excludoor security door ranges. 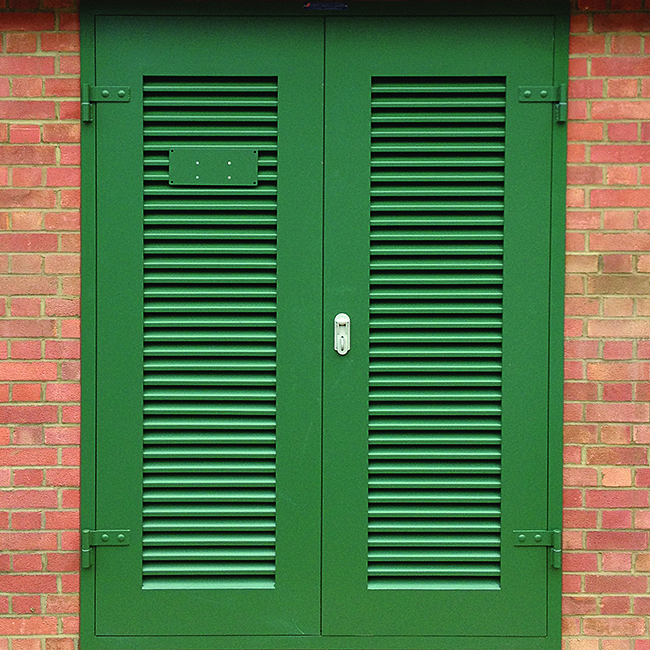 Double doorset powder coated with Turquoise Blue. Custom colours can be used. Save expensive on site labour costs on hand painting. Have the benefit of ‘last minute fixing’ giving you better control of build programs, schedules and reduction in expensive site time by us having full in-house control of manufacture, painting, delivery and installation. Benefit from our own in-house paint plant, giving total quality control. Have the reassurance of a fully controlled paint application procedure involving chemical surface de-grease and pre-treatment, special powder compatible primer, followed by powder top coat which is temperature controlled oven cured. 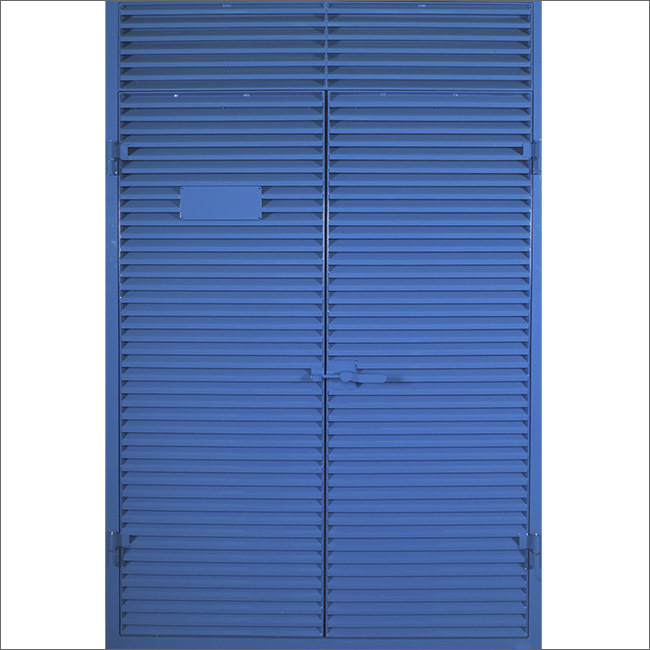 Be assured of having a smooth and consistent powder coat surface finish that compliments the quality workmanship of our door sets, not a streaky inconsistent hand brush finish. 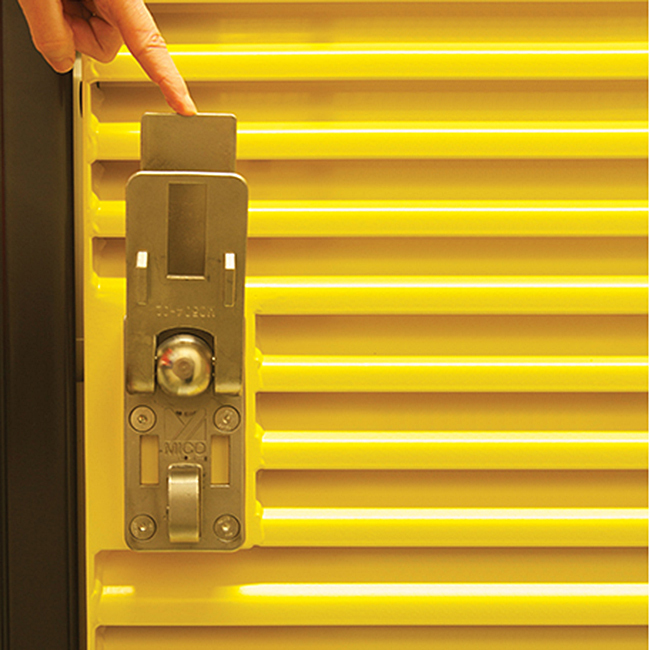 Have a ‘one stop shop’ to deal with your project from enquiry to handover through our dedicated sales, project management, manufacturing, finishing and installation teams.